The 2014 Nissan Versa continues to hold the title of least-expensive new car you can buy, with its $12,780 starting price unchanged from last year. The sedan version is a no-frills vehicle, but the all-new 5-door hatchback Versa Note ups the style and feature ante. The Nissan versa note has a hatchback trunk. Both back seats can be put down to allow for extra storage. Even though it is a smaller car the inside is very roomy. The car has easy controls for both radio and air/heat. There are no blind spots. It is a cute little car that is good on gas. The seats are comfortable. The driver side only has an arm rest. The car also has a lot of cup holders. There are two in the front console. There’s one cup holder on each of the front doors. And two in the middle console for the backseat drivers. The car is very reliable. I haven't had any car trouble and I have owned the Nissan for three years. It is a great small family car. It is a good car for road trips due to the comfortable seats and gas mileage. And since it is a small car parking is always easy. My cheap car gets me where I need to go, just like your expensive one. Pro's on the car is the price. I brought it for 7, 000 plus dealer fees and such. It takes 22 to 26 dollars to fill up my gas tank, which is about 300 miles or so. Con on my vehicle is that I just had to replace my transmission after 70, 000 miles. Which I think is un hear of being a car that is four years old, and my last car lasted me 275, 000 miles and was about 17 years old before I hit an animal which totaled my car. My ac is not blowing completely out of my vents, because it is coming out from under the glove department. I have no idea why, I will find out sometime soon. I think the car rides smooth with the new transmission, and is okay for someone looking for a car to get them from A to Be. The features on my car is basic, an AUX jacket, automatic shifting, nothing much more. My Nissan versa is white with black interior and is very roomy and comfortable. My Nissan versa handles really well it is very easy to drive fits in most parking places very easily is great on gas and even though it is a small car it is a very roomy on the inside with a huge trunk overall it is a very dependable vehicle. 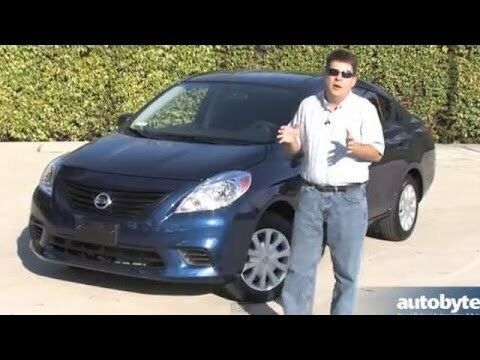 The Nissan versa is very easy to keep up oil changes or simple does not require much work in mine has not had any problems so far as far as the engine. The engine is so quiet when you are driving you cannot even tell that the engine is running. It just purrs like a kitten as you cruise down the highway. The only downfall I see you to the Nissan versa is since it is such a compact car and very lightweight the ride is a little bit rougher than a heavier car but it still gets you where you want to go.